Popular novelist and the New York Times best-selling author Jamie McGuire joined a heated conversation about vaccine safety when her March 8 Facebook post went viral. 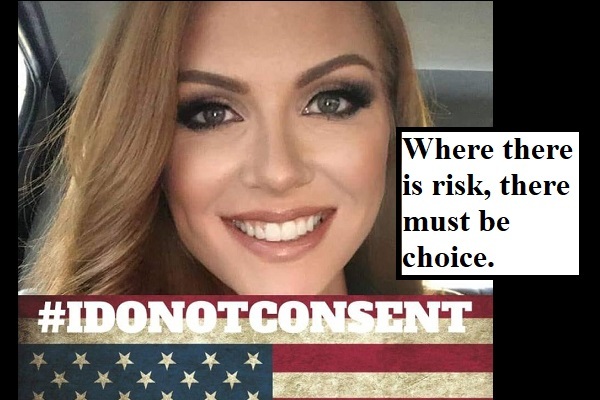 “I do not consent” speaks about mandatory vaccines. Vaccine safety debate is going strong as vaccine manufacturers have done nothing to make their products contain fewer additives, and new vaccines are being added to the market and the vaccination scheduling. As the cocktail of chemicals that is being injected into human bodies keeps growing, the side effects and adverse reactions are certainly not decreasing. Each line in McGuire’s post speaks about a different issue with the current vaccination system. Here is what she is referring to and why people listen. Her post has been shared 3.2K times, and commented on 19K times. “Until you can prove vaccines do not cause DNA mutations, I do not consent. People are questioning if certain ingredients in vaccines, for example proteins in the bloodstream combined with genetic material in HepB can cause DNA mutations. Some vaccines are made using human embryo cells causing further controversy. Until you can prove vaccines do not carry cancer causing retroviruses, I do not consent. Over 99 million Americans received a polio vaccine between 1955 and 1963 that was contaminated with SV40 virus that may potentially lead to cancer. This information was reported on by the CDC but later hidden and only accessed in cached version of the old web page. Until you can prove vaccines do not impair fertility, I do not consent. There are ingredients in vaccines that can impair fertility. Octylphenol ethoxylate (Triton X-100) created by DOW that is in some flu shots for example is toxic to the reproductive system. Until you can prove vaccines are safe using the gold standard in medicine with an inert placebo, I do not consent. Vaccine injuries happen. Over 3.8 billion dollars has been paid out in damages to vaccine injury victims since 1986. That is the year a compensation program went into effect. It pays out compensation, while not keeping the vaccine industry liable. The vaccine makers unlike other drug manufacturers cannot be sued if and when their products harm the customer. The number of injuries is likely higher as only 1% of them is predicted to be actually reported. Until you can prove it’s safe and effective to inject 8 different viruses at one time, I do not consent. The vaccine schedule has grown from 22 doses in 1983 to 73 doses today. It keeps growing. The effects of all of the vaccines combined have never been properly tested. Until you can prove it’s safe to inject 18 times the “safe” limit of Aluminum into day 1 old babies, I do not consent. Newborns receive the Hepatitis B vaccine in the first 24 hours after being born. It contains the toxic heavy metal aluminum, a total of between 225 and 800 mcg of it in a dose. This is far greater than the recommended safe limit by 5-17 times. A 2012 study showed that it can negatively affect the child’s development. Until you can prove none of the 16 vaccines and their components do not cause autism, I do not consent. Autism rates have risen from 1-in-150 in 1992 to 1-in-59 right now. Many are questioning if vaccines are a contributing factor. Yet, a 2004 study from the Pediatrics Paper that had crucial information that could link autism to vaccines has been literally thrown in the garbage. Until you can prove vaccines are not permanently harming the immune system and creating an epidemic of autoimmune diseases, I do not consent. Numerous stories tell of children and teenagers allegedly developing chronic auto-immune disorders after vaccinations. It is possible that it is the adjuvants in the vaccines that cause an autoimmune syndrome. Until you can prove vaccines do not contribute to SIDS, I do not consent. About 3,500 infants die from sudden infant death syndrome or SIDS every year in the U.S. While the CDC claims there is no connection to vaccines, the Vaccine Adverse Event Reporting System (VAERS) data shows that SIDS have been reported after children receive more than one vaccination on the same day, such as DTaP-HepB-IPV + Hib + PCV7 or PCV13bvaccines, ot HepB vaccination. Until you can prove vaccinated individuals are healthier, live longer or thrive more so than their non-vaccinated counterparts, I do not consent. A 1992 survey study from New Zealand found that unvaccinated children had less asthma, eczema, ear infections, hyperactivity, epilepsy, and other conditions. While the vaccine safety debate continues, McGuire hits all of good points that are being discussed. Still have questions about vaccines? 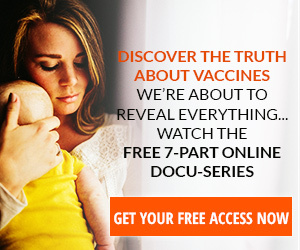 Don’t miss the investigative 7 part docu-series: The Truth About Vaccines. Click HERE To Sign Up NOW. Tags: celebrities speaking about vaccines, celebrity speaking out against vaccines, I do not consent, issues with mandatory vaccinations, mandatory vaccine controversy, vaccine, vaccine injuries, vaccine safety, vaccine safety debate, and vaccines risks.